LENGTH OF DELIVERY HOSE CAN BE INCREASED AS PERREQUIREMENT Sprayer consists of a pump assembly with two discharge outlets. It's sturdy stand assembly, base frame and pedal lever are powder coated against corrosion. It is supplied with 2 Mts. 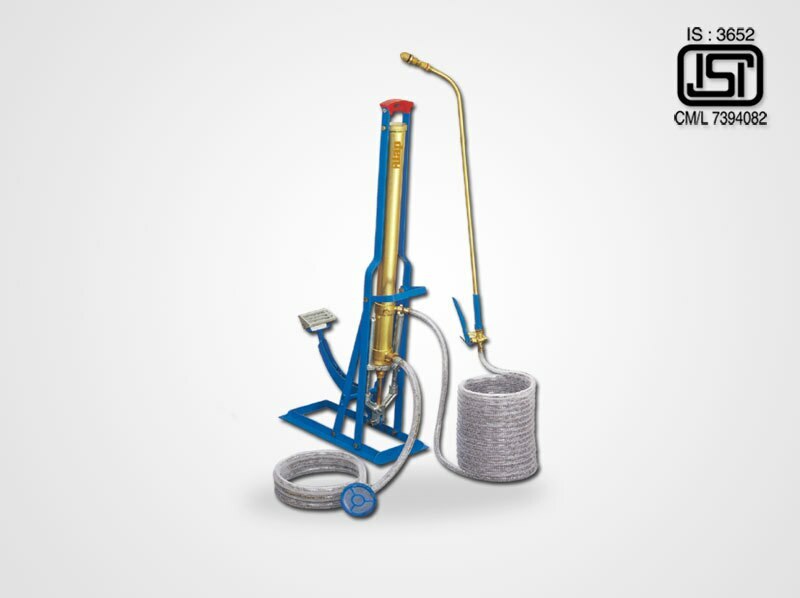 long suction hose and 10 Mts. of delivery hose. If required maximum of 100 Mts. long delivery hose can also be attached. It has a 88.8 cm. long brass Lance with one end bent as goose neck with adjustable nozzle.